PODCAST TRACKLIST, 1. Justin Charge and Jody 6, 2. Andre Montorsi, 3. Louk, 4. DJ Thera Vs Geck and more. THESE TRACKS, SUPPORT THE HARD DANCE SCENE AND PURCHASE YOUR MUSIC LEGALLY! 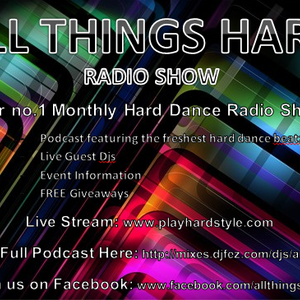 and then live guest mixes from some of australias best djs. wicked tunes, event information, and FREE giveaways.